Now, Over 3 Jam Packed Hours of Step by Step Instructions! Voted Hands Down as The #1 Collection of "Fruity Loops Video Tutorials for beginners Online"! In fact we give you EVERYTHING you need to make professional sounding music right the second you join. As a member, you get access to Royalty Free Hip-Hip Sounds, Hip-Hop Construction Kit CD's Hundreds of MB's of High Quality "Royalty Free Hip-Hop Loops, Hip-Hop Drums, Hip-Hop Strings, Free VST Instrument Sounds, Effects, and More!" Read More Below! You'll be able to follow me "Step by Step" as we build our knowledge and hands on experience together through each video. 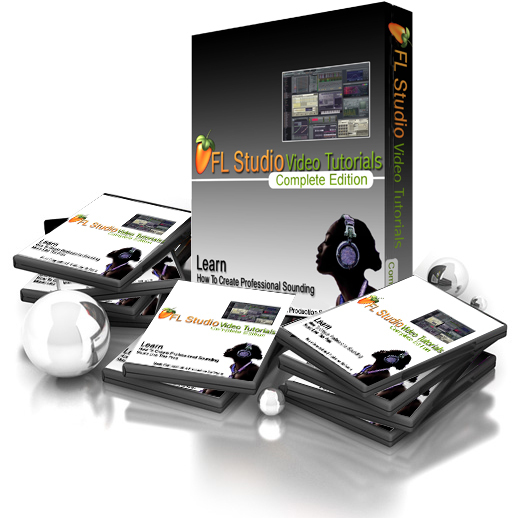 Each video is perfectly organized and structured for the FL Studio newbie in mind. I promise not to teach you how to divide until you can add and subtract like a pro.....Sound easy enough? Trust me, it isn't hard to create original, professional music with FL Studio. Not when you have "Fruity Loops Video Tutorial ". You and I will even compose a complete song in FL Studio in just minutes. I'll even give you the raw sample files so that you can tweak the song and turn it into your own instrumental to sell for profit, use for yourself, or to just brag to your buddies about how you used FL Studio to compose it! You just follow the steps I've laid out for you. Most of the Tutorials here are for FL5. Secondly they are all on imagine line website for free, buying it here was waste of money.